Northwestern Health Sciences University graduate serving Hastings and Cottage Grove community since 1996 offers Activator Methods®, Diversified, Electrical Muscle Stimulation, Intersegmental Traction, and Thompson techniques. 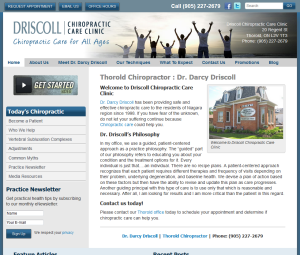 Also offers Acupuncture, Decompression, and Cold Laser Therapy. 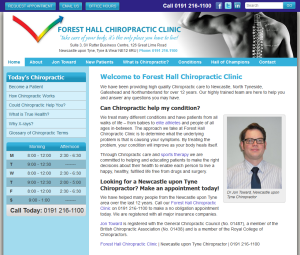 Forest Hall Chiropractic Clinic offers Newcastle upon Tyne residents with corrective chiropractic care using SOT, Diversified, Activator Methods®, Thompson, Gonstead, and AK Applied Kinesiology adjusting techniques. 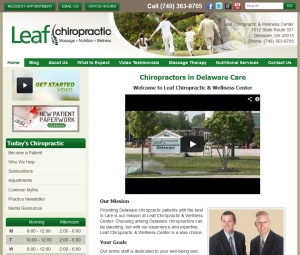 Dr. Brian Leaf & Dr. Luke Reinhart of Leaf Chiropractic & Wellness Center offer Diversified, Gonstead, Thompson, Activator Methods®, and Toggle Recoil adjusting methods. 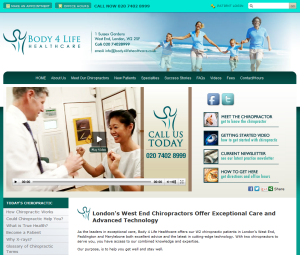 Body 4 Life Healthcare serves West End, Paddington and Marylebone residents with Activator Methods®, Diversified, and Thompson adjusting techniques. Dry trigger point needling and Kinesio taping are also available. 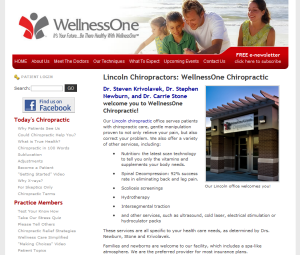 WellnessOne Chiropractic serves Lincoln, Waverly and Hickman communities with Diversified, Activator Methods®, The Blair Technique and Gentle 5 chiropractic techniques. New York Chiropractic College graduate serves Brooklyn, NY area since 1986 with Diversified, Motion Palpation, Flexion-Distraction, SOT, Extremities, Myofascial Release, and Trigger Point adjusting methods. Massage Therapy, Hydraulic Resistance Exercise, Electrical Muscle Stim, and Ultrasound are also available. 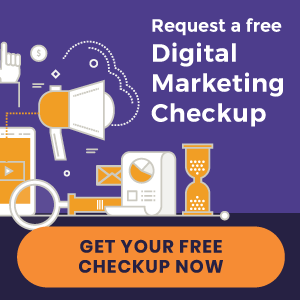 Dr. Charles Bissell and Dr. Greg Perkins of Bissell Chiropractic Sports Medicine offer Diversified, Cox Flexion-Distraction, SOT, and Electrical Muscle Stimulation adjusting techniques. Ultrasound, Iontophoresis/Phonophoresis, Custom Foot Orthotics and Spinal Decompression are also offered. 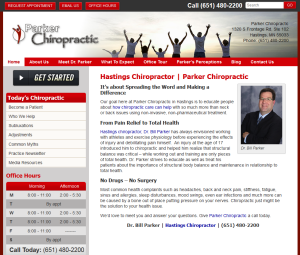 Parker University graduate provides chiropractic care to the Niagara region since 1998.